A few months ago I went on a bit of a thrift store shopping spree and found a package of about 30 metal spoons for only $3. Who could resist such a deal, right? I could stop worrying about my kids losing the spoons I put in their lunchbox and have plenty of them left over for a few spoon crafts. I decided that with spring coming I would make these DIY garden markers spoons to keep track of the things I plant in the garden. I have a horrible memory and I find that those little plastic markers that come in the pots from the nursery always seem to get eaten by the dog or lost in the dirt! Hopefully, these DIY garden markers spoons will last longer and the dog won’t decide to run off with them! 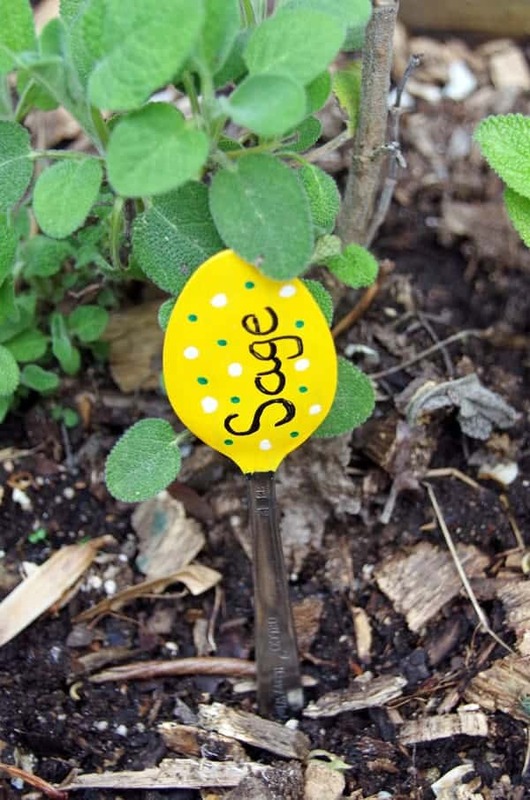 If you are as forgetful a gardener as I am, these garden markers spoons may be just the thing you need in your own garden! 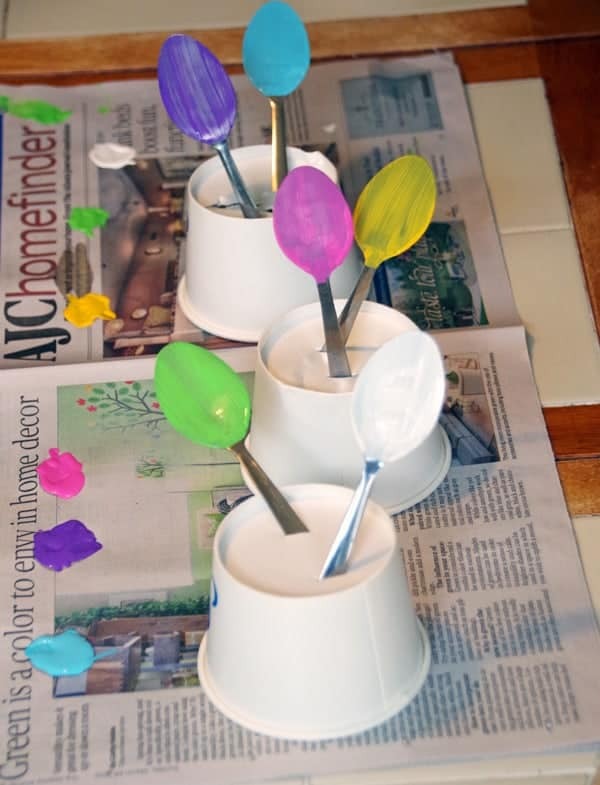 Lay the spoons on the newspaper and paint each one the desired color. You will probably need 2 to 3 coats. 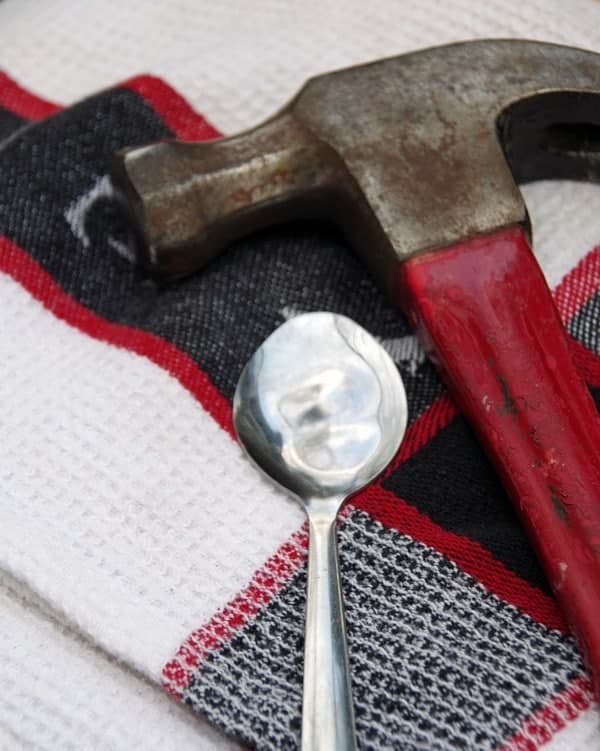 Let it dry between coats by laying it on a paper cup or poking the spoon into the cup as shown below. 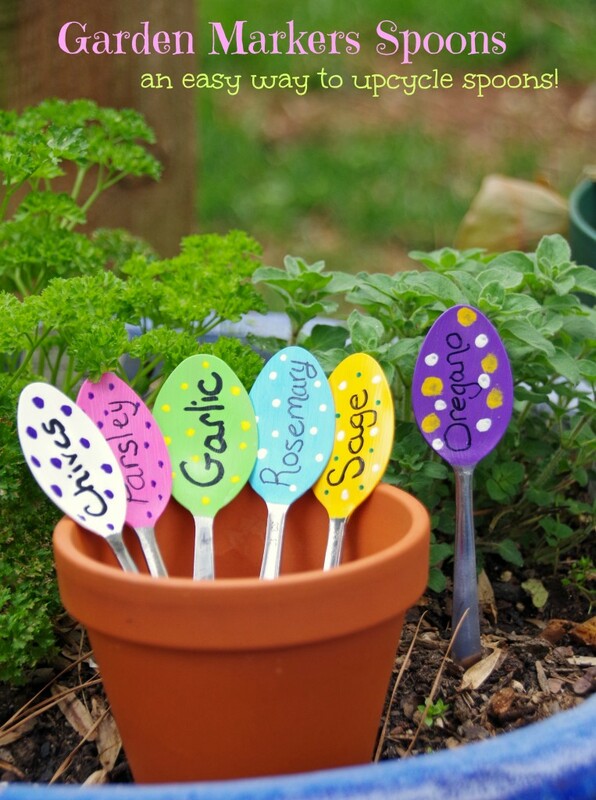 Use the black paint pen or permanent marker to write the name of each plant on your spoon. Let set 24 hours before placing in garden. Follow my Gardening on Pinterest board for more fun gardening projects! Follow Diane Hoffmaster’s board Gardening tips and pics! on Pinterest.This post contains affiliate links. How cute are these!? Pinning so that I can make some of these later this year. These are so cute! I will have to pin them for later. I saw projects like this with metal stamps but was too lazy and cheap to go buy them :) Glad these inspired you! Love this! It seems like the plastic labels that come with my plants always break. Do you bring them inside in the winter? I have left them outside and they seem to be weathering just fine! These are so cute! I will definitely try this. Thanks for sharing. i like them they are so cute !will definitely make mine later this year.Thank you very much.